Unlike the Declaration of Independence by which it was inspired, there is no mention of God-let alone Him giving us rights. 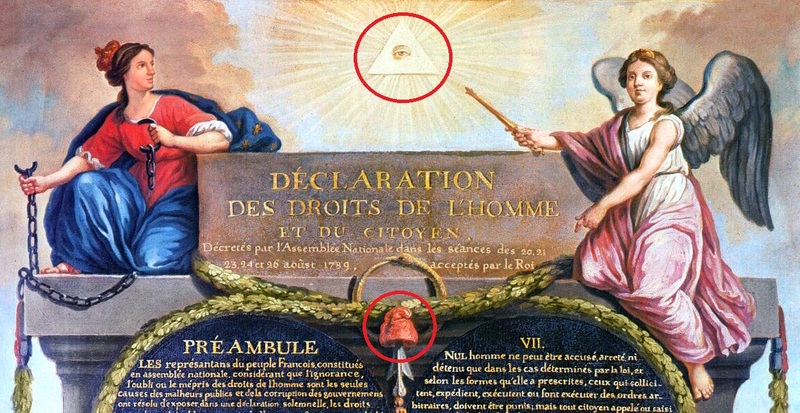 These symbols (the Phrygian Cap representing freedom, and the Masonic Eye the occult) emanating from the Apple of Eden and the connection with the declaration mentioned above, combine to form a message of man attempting to “free” himself from God. This entry was posted in Uncategorized and tagged AC, Assassin's Creed, Assassin's Creed 3, Assassin's Creed: Brotherhood, Bible, demonic, evil, gaming, God, Jesus, KJV, kjv bible, Masonic, masonic eye, occult, Phrygian Cap, symbolism, video games, videogames. Bookmark the permalink. That might be right… But speaking of place, what about statue of freedom?